Automic is the most comprehensive platform for automating businesses globally. We help over 2,500 companies - from start-ups to global brands - grow their business by taking away the stress of the everyday so they can focus on innovating. We do this through automating every aspect of their business to eliminate errors, ensure compliance, reduce costs and maintain services while providing a full dashboard for business leaders. BMC helps leading companies around the world put technology at the forefront of meaningful business change, improving the delivery and consumption of digital services. From mainframe to cloud to mobile, BMC delivers innovative IT management solutions that have enabled more than 20,000 customers to leverage complex technology into extraordinary business performance—increasing their agility and exceeding their expectations. Today, flawless interconnected digital experiences will define business relevancy and success. BMC is committed to helping companies explore and profit from the New IT, a vanguard operating model that responds to complex business and customer needs with digital transformation, combining traditional technology with groundbreaking capabilities. BMC Release Process Management helps you quickly deploy changes to your business-critical applications more frequently, at lower cost, and with fewer errors. Easily automate and simplify batch application workflows to reduce costs and speed up the delivery of business services with BMC Control-M Workload Change Manager. Boundary has developed the first central intelligence service for modern IT operations management (ITOM). The service analyzes and correlates per-second application traffic “chatter” with inputs from third-party IT management tools, to provide IT operations teams with early warnings on application and cloud failures. Boundary users can now monitor their entire IT environments from a single cloud-based dashboard that is updated every second, improving business agility and reducing management costs. Boundary is a modern ITOM platform built for modern IT operations. Boundary is a SaaS solution designed from the ground up to match the scale and speed of today’s applications. Massive data sets are collected, processed, and displayed in real time. Plus, it deploys in minutes—settings are automated and no hardware or code changes are needed. If you’re running in the cloud or managing modern applications, Boundary will provide the visibility you need to be successful. Boundary is also an optimal fit for your Agile and DevOps initiatives, enabling real-time behavioral understanding—before, during, and after deployments. Boundary delivers the capabilities you need to do proactive application management and prevent downtime. Boundary can instantly create and update topology maps. This relational understanding of the underlying infrastructure provides context for the events and metrics Boundary captures. With Boundary’s intelligent capabilities for anomaly detection, drill-down analysis, and alerting, you can do rapid root cause identification and get the cross-component visibility you need to spot rogue resource utilization and misconfigurations. Centralized ops dashboard. Boundary’s trends dashboard provides a single view for complete visibility into complex, distributed applications, and it provides a powerful, intuitive interface for analyzing changes in your application and infrastructure behavior. Comprehensive coverage. Unlike traditional IT operations management solutions, Boundary helps you understand application and infrastructure behavior, regardless of the language or stack you’re using. Boundary is a language- and infrastructure-agnostic platform that provides 100% coverage. We accomplish this by using lightweight software agents that monitor all application traffic, all the time, directly from each individual host. One-second data streams. Utilizing real-time application flow data and behavioral analytics, Boundary provides critical context for proactive event management, making it fast and easy to gain operational insights and rapidly resolve problems. The Boundary streaming engine ingests massive data sets at one-second intervals. This per-second data resolution provides the granularity and insights needed to understand and manage even the most complex and distributed systems. Early warning alerts. Boundary delivers the analytics that enable proactive trend analysis and fast anomaly detection. Boundary provides algorithms that can help forecast behavior and generate alerts when appropriate. The solution offers alerting at all levels, including node, application, and group. In addition, you can use Boundary to collect additional metrics, including throughput, round-trip time, and re-transmits. Application topology mapping. Through its automated discovery, dependency analysis, and application traffic collection, Boundary can create and update topology maps in real time. Boundary offers insights that leverage a relational understanding based on application flows between hosts—providing critical context for metrics and events. Consolidated events console. Boundary integrates event data, providing a single platform for consolidated operations management. Boundary offers a pre-built library of event connectors for several platforms, as well as APIs for integration with other tools. As a result, event data from Boundary and third-party platforms can be viewed within the context of application topology. The CA LISA® Application Delivery suite from CA Technologies addresses DevOps challenges with innovative technology for optimizing application development and testing, increasing the velocity of enterprise application delivery, while simultaneously driving quality and reducing the cost of innovation. “Enabling continuous delivery” is what CAP Project Services exclusively focus on, helping organisations change and align their business activities to make continuous delivery happen. We span the Management, Development and Operations domains, independent of tooling vendors and workplace politics. We ensure the business processes, organizational structures, tooling choices and cultural values of your organization are all focused on the value creation that is at the heart of DevOps. Ignore the hype and be pragmatic – CAP Project Services – Enabling Continuous Delivery. CollabNet is a leading provider of Enterprise Cloud Development and Agile ALM products and services for software-driven organizations. With more than 7,000 global customers, the company provides a suite of platforms and services to address three major trends disrupting the software industry: Agile, DevOps and hybrid cloud development. Its CloudForge™ development-Platform-as-a-Service (dPaaS) enables cloud development through a flexible platform that is team friendly, enterprise ready and integrated to support leading third party tools. The CollabNet TeamForge® ALM, ScrumWorks® Pro project management and Subversion Edge source code management platforms can be deployed separately or together, in the cloud or on-premise. DataArt is a custom software development firm that builds advanced solutions for the financial services, healthcare, hospitality and other industries. Combining domain knowledge with offshore cost advantages and resource flexibility, DataArt develops industry-defining applications, helping clients optimize time-to-market and minimize software development risks in mission-critical systems. With an unrivaled talent pool of highly skilled software engineers in New York, London, Russia and Ukraine, DataArt provides the technical skill, accountability and industry knowledge needed to deliver custom applications on time and on budget. DataArt has been consistently named one of the top or fastest growing IT outsourcing providers worldwide by BusinessWeek, CMP's Global Sourcing 100, International Association of Outsourcing Professionals and Inc. 5000. DataArt clients include Standard & Poor's, Harmonic Fund Services, Ogilvy, artnet, Panasonic, Cancer Research, Charles River Laboratories, Betfair, Misys, leading asset management firms and three of the world's top ten investment banks. Electric Cloud products help you automate and accelerate your software delivery processes including build, test, deploy and release and the use of their supporting infrastructure. 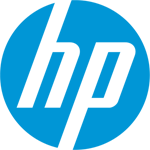 Based on HP IT Performance Suite (ITPS), HP solutions for DevOps are a crucial success factor in initiatives aimed at breaking down the walls between development and operations teams. By unifying these key functions, ITPS enables you to increase agility across your complete application lifecycle and empowers your teams to collaborate effectively to deliver better applications, faster. Learn more about the DevOps challenge and the three keys to help you unify IT silos to accelerate end-to-end application delivery. We're fanatical about making live on earth fantastic – using the power of DevOps. Devopstastic. ScriptRock is a configuration monitoring platform that helps enterprises discover, monitoring and control configurations across their dynamic data centers. ScriptRock simplifies configuration management so that businesses can focus on shipping features, not fixing configurations. Leading enterprises use ScriptRock to get end-to-end visibility of configuration state, pinpoint configuration drift and help create an onramp to IT automation to significantly increase the velocity and quality of software. ScriptRock is used by leading enterprises including ADP, Citrix, GSA, Trek Bicycles and Cisco. Visit us at www.scriptrock.com for more information. Serena Software provides Orchestrated application development and release management solutions to the Global 2000. Our 2,500 active enterprise customers, including a majority of the Fortune 100, have made Serena the largest independent Application Lifecycle Management (ALM) vendor and the only one that orchestrates DevOps, the processes that bring together application development and operations. Headquartered in Silicon Valley, Serena is a portfolio company of HGGC, a leading middle market private equity firm. Serena Orchestrated IT solutions help companies deliver better software faster and more consistently. They do this across Development, in the new area of DevOps and in Operations itself. Further, they do it across every platform companies may use, including various cloud platforms and also the mainframe. Available on-premise or on demand, Serena solutions are engineered for configurability to easily adapt to your company needs. Serena provides solutions that help Development and Operations from request to release with release automation to make application delivery both more agile and more controlled. 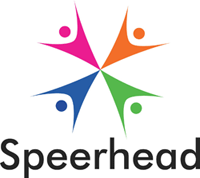 Hi, we're Speerhead the DevOps people. Nice to meet you. We like to think we’ve put together something pretty special here at Speerhead – an agile group of DevOps expert technical marketers, resourcers and an Inside Sales Team with a shared commitment to marketing, selling, and doing good work for the DevOps technology vendors and community. Stackify provides operations, support managers and software developers with an innovative cloud based platform that allow them to monitor and troubleshoot their applications. Using Stackify businesses can easily and fast detect and resolve application issues and understand why their application doesn’t work, work slow or just acting weird and ensure their customers’ satisfaction. The platform combines monitoring, errors, metrics, logs, exception and remote controlled and secured access in the relevant context in one place. Stackify provides software developers, operations and support managers with an innovative cloud based platform that allows them to monitor and troubleshoot their applications .Using Stackify businesses achieve DevOps visibility and can easily detect and resolve application problems and ensure their customers’ satisfaction. The platform combines monitoring, errors, metrics, logs and secure remote access with the relevant context in one platform. Stackify connects the dots for, providing you with the big picture and understanding of how data correlate across multiple source to allow for faster or even proactive application monitoring , diagnostic , and issue resolution. info@stackify.com or call us at +1(816) 888-5055. TestPlant is an international software business based in London. It has development centers in the USA and the UK with sales and support centers in the USA, the UK and Asia as well as an extensive network of business partners. TestPlant's products are used in over 30 countries by well over 300 enterprise customers in sectors which include Financial Services, Automotive, Healthcare and Life Sciences, Media and Entertainment, Retail and Defense and Aerospace. The eggPlant range is a set of tools which supports the design, development, test and management of software applications for mainframe, desktop and mobile use in any technology platform environment. The tools are relevant in agile, mobile, web and DevOps deployments. eggPlant use improves and reports on the quality and responsiveness of software systems, reduces time to market and lowers costs by introducing process automation. The eggPlant tools have been granted patents with several applications pending. The company's achievements have been recognised within the software industry and by the venture capital community. TestPlant is also a Red Herring Global Top 100 company and was awarded a Queen's Award for Enterprise in 2013. With customers such as 3M, Air France-KLM, Duke Energy, Pitney Bowes, and Société Générale, XebiaLabs is a leading provider of Continuous Delivery & DevOps Automation focused on helping organizations deliver business value faster and more efficiently. XebiaLabs' flagship product, Deployit, is the only fully-automated Application Release Automation solution, allowing customers to carry out and scale application deployments across all middleware and cloud environments. Headquartered in the U.S., XebiaLabs has a world-wide network of sales offices and partners. XebiaLabs' flagship product, Deployit, is the only fully-automated Application Release Automation solution, allowing customers to carry out and scale application deployments across all middleware and cloud environments. When it comes to the application release process, acceleration and reliability are on the top of the priority list. Deployit from XebiaLabs is the market-leading application release automation solution. With Deployit, organizations are solving their application release challenges quickly and cost-effectively.